Who Can Benefit From Nursing Foot Care? Professional foot care begins with a thorough nursing assessment of the client's feet and lower limbs that includes a health questionnaire, biomechanical exam, and visual inspection. 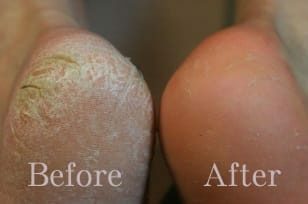 Our Foot Care Nurse is trained in Advanced Diabetic Foot Care and wound care; we are able to care for specific foot care problems such as corns, calluses, ingrown toe nails, thickened and hard to cut nails, cracked heels, and fungal nails. After assessing your feet, we will design a personalized foot care program specific to your needs. We can also offer suggestions for keeping your feet more comfortable between visits. Be kind to your feet. Years of wear and tear can be hard on them. So can disease, bad circulation, poorly trimmed toenails, and wearing shoes that don't fit. Foot problems are sometimes the first sign of more serious medical conditions such as arthritis, diabetes, and nerve or circulatory disorders. Keeping up on your foot care can help prevent some serious foot conditions and disorders. Depending on your foot condition, we see patients anywhere from 4 to 8 weeks apart.